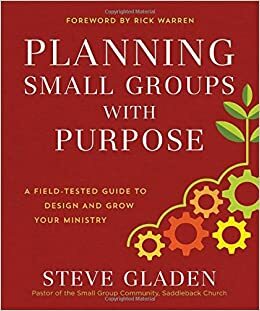 "Planning Small Groups with Purpose: A field-tested guide to design and grow your ministry," written by Steve Gladen with a foreword by Rick Warren, is an excellent resource for Pastors and other church leaders hoping to implement and build up a small group component in their ministry. The church I am a member of just this last spring began a small group component and although it is in the early stages, I would say it is going to be a success. Rick as well as the author discuss how small groups is the foundation of the early church and this is how believers and member of the church are really going to grow in their faith and also together as a community and family. This book is very thorough and takes the user step by step with starting with the basic foundation, the purpose and design of small groups in order to fulfill the purpose and goals of having these as a part of the ministry. Next, each piece of these groups is discussed and broken down and then all put together to really help build the groups by addressing the individual components to create the whole. Some of the components addressed is the layout of the group, where it will be held, how many individuals, helping individuals grow individually spiritually, but also as a unit together building fellowship and community. This is a valuable resource that will help someone really be able to address the different steps and feel comfortable and prepared for taking this step in ministry. "The Edge of Over There" is an intriguing, suspenseful read that will transport the reader to a different time, a different land, a land of fantasy. Abra had a normal life back then, back before she found the first tree. It was safe, predictable, everything was fine. However, now she is searching and waiting and being led on a journey, but she is not the only one on this journey. Shawn Smucker's writing reminds me a lot of books that I read years ago, such as "The Giver" and "A Wrinkle in Time." This book is a nice mix of fantasy and unknown and suspense, keeping the reader hooked on the storyline. Shawn also writes from varying viewpoints so that it adds different perspectives but also it adds to the suspense as he leaves you hanging in the middle of something when switching viewpoints. This is a book that would appeal to both young adults and older adults. It is a good story that is centered in fantasy and addressed secrets, responsibility, knowing whom to trust and whom and what to fear. "River to Redemption" is another amazing historical novel from Ann H. Gabhart. This story is heart-wrenching, and yet inspiring and full of hope at the same time as the characters persevere and those whom have struggled and been treated poorly do what they know is right even though they have been treated so poorly themselves. This story will leave you feeling hopeful and inspired to live the best life you can and show kindness to those around you. Adria was rescued by Louis during the cholera epidemic and she is determined to pay him back by helping him become free. Louis has always been a slave and he gave up his chance at freedom to rescue and care for her because he knew it was the right thing to do. Adria is 19 and able to care for herself now, but she will never forget Louis and what he has sacrificed for her. However, unfortunately, the time that it is, being the 1840's in the south, this is not the mindset of others around her. Louis is a slave and is therefore to be sold and treated as one, no matter what he has done or who he is. 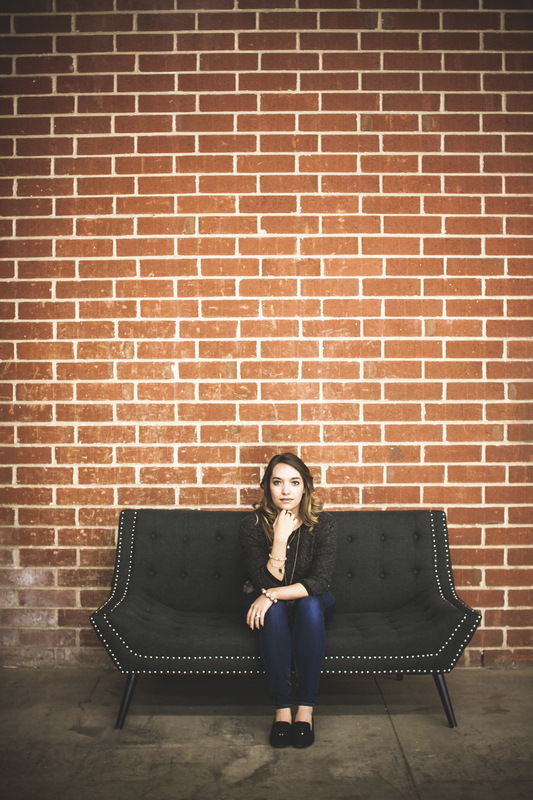 Adria's grit and strength shine through as she fights an uphill battle for what she wants and believes in. I enjoyed reading the author's note at the end of the book as that just enhanced this story even more for more so that parts of it are based on a true story. This time period was so different from now, but in reality we all struggle and face challenges and the determination that Adria possesses and uses is what we all should strive for while facing our own challenges as well. Rachel Fordham is a brand-new author and I hope that her debut novel, "The Hope of Azure Springs," is just the first of many books to be written! Rachel has does an incredible job with creating a storyline that flows nicely while holding the reader's attention and creating characters whom are easy to relate to and likable. Em arrived in Azure Springs on an Orphan Train and this is her new home. However, she finds herself alone once again, but this time she is adult, being 19 now and she is determined to find her sister. Needing help with this venture, the sheriff is the perfect choice in more ways than one. Not only can he help her and help protect her, but he has made it his mission to solve every case he encounters as he is seeking approval from his parents. Neither Em or Caleb realize just how things are going to go, including their hearts becoming involved along the way. Rachel is going to be an author who I will be watching for new releases as this was such a great debut novel! I thoroughly enjoyed it all and she has such a great writing style. I am anxious to see what she writes next! I highly recommend this for everyone who enjoys historical fiction! 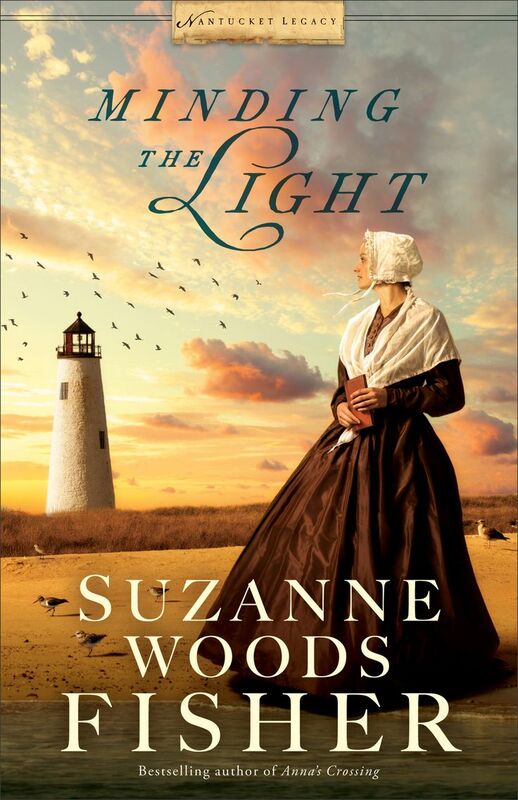 "Minding the Light" is the second book in Suzanne Woods Fisher's Nantucket Legacy series and it is a wonderful historical romance novel! This book is filled with so much historical detail that it really does provide a window into the life and society of a Quaker community set in Nantucket and the sea way of life. Daphne's heart is spoken for as she is engaged to a man and life is good. However, when Ren returns to town after 6 years away they are both in for an awakening. Ren realizes that everything has changed, and Daphne realizes that Ren is not the man that others see him as. Ren has gotten good has covering his true self, his hurt and pain and the man who he actually is below his exterior that everyone else sees. Daphne finds herself getting to know the real Ren and finds her heart falling for him. However, she is spoken for and Ren is related to and works with her fiancee. Daphne is a character who I immediately liked, she is sweet, strong and not afraid to help others. I loved the interactions that are shared between she and Ren as this really helped to show her true character as well as Ren's. The inner turmoil as well as the outward struggles that these characters are facing and needing to cope with are not really unlike that which we struggle with now making the characters and the story relatable on several different levels. This connection keep me completely engrossed in the book. I love the historical detail that is included; Suzanne does a fantastic job with really bringing the time period and culture to life, I felt as if I were there alongside the characters. I am looking forward to book #3 in the near future! "Dangerous to Know" is an intriguing and exciting read, meaning that it was hard for me to put down once I started reading. Megan does a great job with bringing the characters' and their personalities to life. Isabella has her list, her ideas for what she is looking for in a husband, and she is given a few proposals and options. One meets her expectations and she goes for it even though she is warned not to. The two men vary from each other and Isabella must learn what is best for her, her heart, and for keeping her priorities in line. This is set in the Regency era therefore there are different customs and styles of living; however the characters are still relatable and good lessons to be learned from them. This is a great read for those whom enjoy historical fiction! "Lone Witness" is book #2 in Rachel Dylan's Atlanta Justice series and this is a book that I did not want to put down once I started reading! Sophie is in a new role at work and is all ready to get in there and make a difference and bring justice to those whom deserve it. However, she finds herself in danger when she witnesses a double homicide. Sophie suddenly cannot live her life the way she wants, doing her job and going about here business as she is in danger. Cooper is hired as her bodyguard; however will this be enough as the threats continue and neither Cooper or Sophie know who can be trusted. Sophie is used to be on the side of preparing for a case and asking the questions; however now she is working on the case in her role as a prosecutor but also having to be prepared as a witness for the homicides which is a whole new experience, and horrifying as she finds herself a main target. This is a fast-paced read with twists and turns as the events play out in the story. Rachel does a great job with tying in a love story and romance in with the suspense and horrific events throughout the book. "Deadly Proof" was a great story and I have really enjoyed the characters so far in this series and am eager for book #3 to come out! "When Through Deep Waters" is a novel that is hard to put down once you start reading it! Rachelle Dekker has woven a story that will keep you turning the pages and wanting to know what is going to happen next. The story begins with every mother's nightmare, the loss of her child. This completely breaks the facade that Alicen has been living, the perfect life that her mother wanted for her and she presents to everyone. Alicen decides to return to where she spent happy summers as a child with her grandmother. This is to hopefully help ease the guilt she is experiencing and give her hope for her life; however she begins to see and hear things, just like her grandmother did. "When Through Deep Waters" is so well-written. The emotions and actions are so real that the characters truly come to live on the pages and I found myself wondering how things were going to play out and end up that I had to keep on reading anxiously; my interest was definitely held all the way to the end! I highly recommend this for those whom enjoy suspense novels!